Club Penguin Cheats by Mimo777 Club Penguin Cheats by Mimo777: Secret Planet Cazmo Mimo Party and MEMBERSHIP GIVE AWAY! Secret Planet Cazmo Mimo Party and MEMBERSHIP GIVE AWAY! Time to rock Planet Cazmo Mimo style! And someone will win a Free One Month Membership to Planet Cazmo! Q. 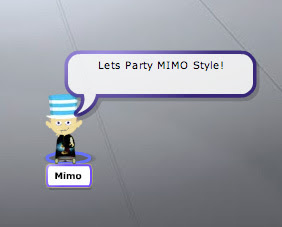 Hey Mimo, where will the party be? A. It's a secret. I can't tell you yet. ;-] Check back for more info. Q. Hey Mimo, what day will the party be? A. It will be THIS Saturday September 19? Q. Hey Mimo, what TIME will the party be? A. I's a secret. I can't tell you yet. ;-] Check back for more info. Q. Hey Mimo, what server? Q. Hey Mimo, can you tell us anything else? A. YES, THERE WILL BE A SPECIAL EVENT JUST FOR US AT THE MIMO PARTY! CLICK HERE TO GET REGISTERED NOW! Mimo, I just wanted to let you know that the mimo banner is still orange in the mission cheats. I will be having a party on Saturday,at 6:00,on Frozen if u want to come..
Mimo I love ur site! I got a question about a glitch, tho. How do u say the same thing as somebody else at the same time as them? Plz tell me! thnx! Awesome but can u have a club penguin add party cuz u cleared 70 of your buddy spaces. I Hope I figure out the clues! Ummm the only thing I know is that you have to download a special program for it. I also do know that it will get you banned! Sounds fun. (At least.) Sorry you can't make the party. I don't know what my schedule is. I may be busy that day too. I hope not! wow that's awesome mimo hope every1 can come! Cant Wait! XD On the last Mimo Party on Planet Cazmo I couldnt see you cause there were too many people. Now I hope I see you and I wish I win the Membership! Whoo hoo! I'll be looking forward to the party, it's going to be my birthday on the same day too! that's soo kool mimo! i hop i win the membership! Hmm... If the party will be After 2PM CPTZ; I can't come.... Anyways we don't know the time yet!! Lol!! I hope so! And hope clues won't be soo hard, lol! And this time there will be only 2 clues! Awesome, huh? This is really fun to be MOD and joining parties on this blog! OMG CP PUT MY COMIC IN THE PENGUIN TIMES!! Lol read the penguin times and the comic thats in there is mine!! WOW!THATS REALLY COOL!Congrats on that.Hope to see my excellent comics.It was really funny! or it was last or this coming month? KEWL!!!! i luv mimo partys! (even though ive never been to 1) i also really hope i win the membership! fingers crossed! Club Penguin You Decide Stage Costume! Mimo Chobots Rain party NOW! New Club Penguin Pin Cheat - PADLOCK PIN! Sensei Speaks About Club Penguin Volcano! Club Penguin Volcanic Treat Shop? VOLCANO and Sensei Scavenger Hunt Extended! New Club Penguin Sensei Toy now Available! COOL! New Club Penguin Sneak Peek! NEW ROOM?! Mimo will now follow YOU on Twitter! Club Penguin New Stuff and Things! Another Club Penguin Reviewed By You! Club Penguin New Pin Cheat... Early! New Club Penguin Gang Mods and Mod Category! The Mimo Rockhopper Tracker on Club Penguin! The Club Penguin Fiery Surprise Mystery solved?! Club Penguin Fair and Fiery Mystery! Club Penguin You Decide Background! Rockhopper Coming For Fall Fair!